Loyalist PR alumni tie the knot! 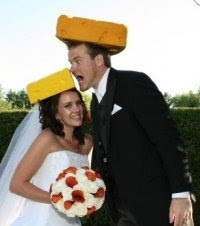 Congratulations to Alison Holland (Loyalist PR 06/07) and Chris McCullough (Loyalist PR 05/06) who were married this past month in a truly "cheesy" ceremony. Wishing two of my former students all the best in life and love!